Explore Kentucky: Summer Festival Guide 2018 – Wanderlust, and Coming Home. Picture this: a bright blue sky, a slight breeze, a picnic table under a shade tree, a cold drink, and funnel cake. Sound good? Yes! One of my favorite things to do on a summer afternoon is to visit Kentucky’s many outdoor festivals. The Commonwealth offers an event for everyone, with gatherings for art collectors, music enthusiasts, car aficionados, foodies, and everyone in between. I’ve selected a few below that sound fun to me for summer 2018. Beer Cheese Festival, June 9th in downtown Winchester. Invented in Clark County, beer cheese is one of Kentucky’s tastiest creations. Pair it with Winchester’s other gift to the universe, a cold Ale-8-One, and you have the makings of one fine afternoon. The festival offers shopping, live music on two stages, arts and crafts vendors, a beer garden, and, of course, lots and lots of beer cheese for tasting. Pa*Brew*Cah Beer Fest, June 16 in downtown Paducah. 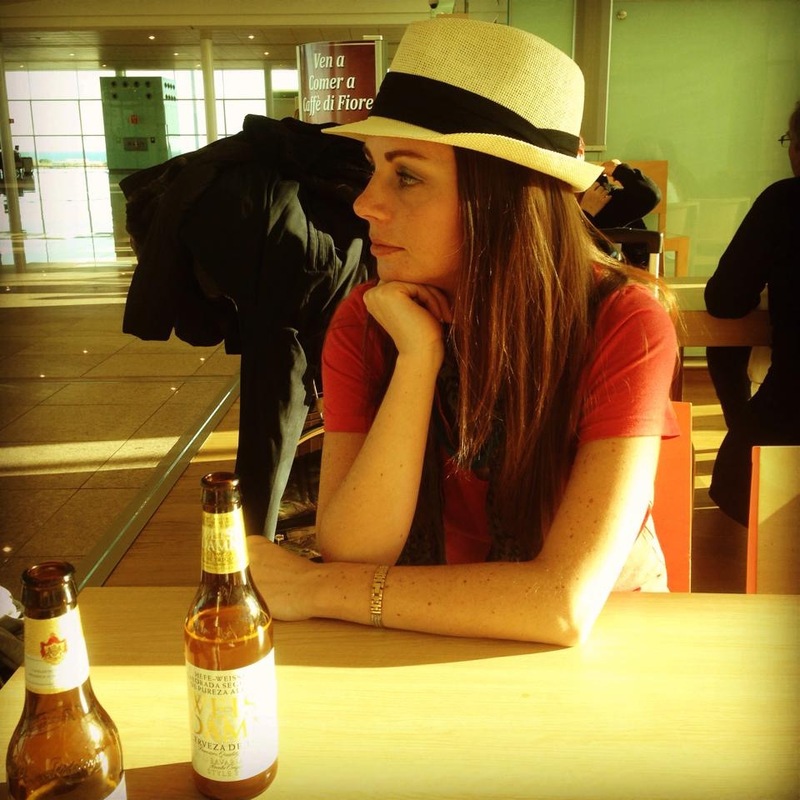 Sample brews from at least 25 breweries while listening to live music and enjoying views of the Ohio River. Romp Bluegrass Festival, June 27-30 in Daviess County’s Yellow Creek Park. Now in its fifteenth year, Romp has grown to attract nationally-recognized bands for a four-day music, camping, and arts festival. This year’s headliners include Ricky Skaggs and Allison Krauss, and attendees are encouraged to bring their own instruments for impromptu jam sessions. Burlington Antique Show, the third Sunday of every month from April to October at the Boone County Fairgrounds. If American Pickers hasn’t filmed a show in Boone County yet, they’re missing out. Celebrating 37 years in 2018, the Burlington Antique Show is the largest in Kentucky and includes over 200 antique dealers each month. Whether you’re in the market for vintage jewelry, art, sporting equipment, dishes, or just whatever random oddity crosses your path, this show is definitely worth a Sunday drive to northern Kentucky. Lexington Junior League Charity Horse Show, July 9-14 at the Kentucky Horse Park, Lexington. Celebrating its 82nd year in 2018, the Junior League Horse Show is the world’s largest outdoor American Saddlebred show and the first leg of the Saddlebred Triple Crown. It attracts hundreds of world-renowned competitors from the U.S. and Canada and has raised over $4 million for charitable organizations across central Kentucky since its founding in 1937. The show offers something for everyone, with a dog show, family night festivities, live music, and impressive equine and human competitors. I’m a former President of the Junior League of Lexington, and this event is dear to my heart! Master Musicians Festival, July 13-14 in Somerset. Celebrating its 25th year, this non-profit festival aims to “bring a wide variety of multi-cultural and multi-racial music to [its] eclectic stage — from the blues to bluegrass, from Celtic to Haitian roots, from rock ‘n’ roll to jazz to progressive newgrass to country to Americana and everything in between….” This year’s lineup features John Prine, Grayson Jenkins & the Resolutions, Joslyn & the Sweet Compressions, and many others. Berea Craft Festival, July 13-15 at Indian Fort Theater, Berea. Growing up in Madison County, I looked forward to this event nestled in The Pinnacles every year. It offers unique arts and crafts, delicious food, music, and dancing in a beautiful setting. Plus, you can hike The Pinnacles trails while you’re there! Goettafest, June 16-18 in Covington’s MainStrasse Village. Have you ever tried Goetta? It’s a meat-and-grain type sausage that came to northern Kentucky and Cincinnati along with German immigrants who settled there. This festival celebrates the popular dish and allows visitors to sample Goetta in many forms. The food, arts, and crafts vendors will fill two blocks of the picturesque Sixth Street Promenade, set against a backdrop of live music and unique neighborhood shops, bars, and restaurants. Keeneland Concours d’Elegance, July 19-22 at Keeneland Racecourse in Lexington. Benefiting the Kentucky Children’s Hospital, the Keeneland Concours brings together more than 130 collector vehicles from across the country. This year’s event will specially feature Rolls Royce and Bentley. In addition to the juried Concours show, over 14 different car clubs with approximately 425 members will also be in attendance to showcase their vehicles in the Car Club Paddock. All of that, plus a silent auction and original art display, will certainly be a sight to be seen! Forecastle Festival, July 13-15 in Louisville’s Waterfront Park. Founded in 2002, Forecastle has grown from a small, neighborhood event to a nationally-recognized festival featuring A-list entertainers. In a venue overlooking the Ohio River, this year’s event includes Chris Stapleton, Arcade Fire, Modest Mouse, and more than fifty other performers. Crave Festival, August 11-12 at the Bluegrass Fairgrounds in Masterson Station Park, Lexington. Crave has grown exponentially since its founding just a few years ago. This year’s visit to foodie paradise will include 50+ restaurants, food trucks, and craft beer and cocktail vendors for visitors to sample. While visitors are enjoying their full bellies, they can listen to more than a dozen bands or peruse the on-site car show. 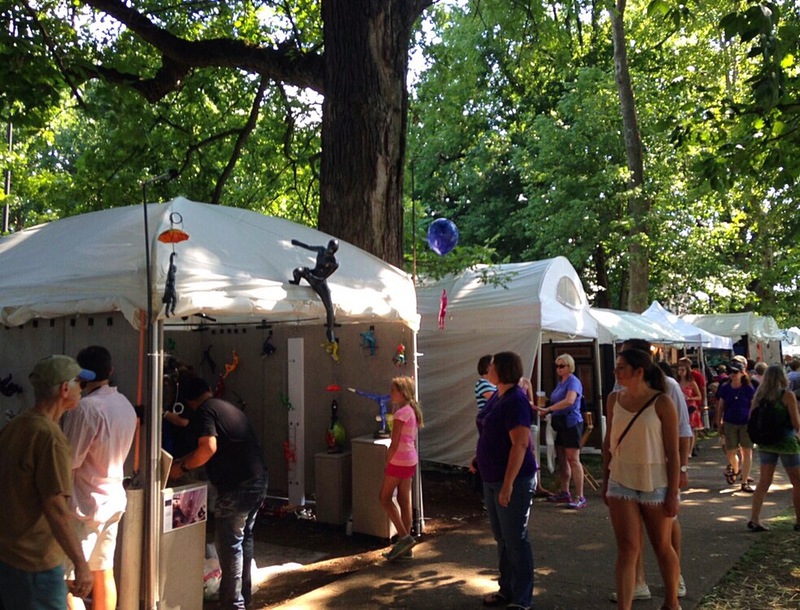 Woodland Art Fair, August 18-19 in Woodland Park, Lexington. This is a must-attend event for me every year. Visitors can peruse the designs of 200 artists, enjoy live music, and sample local food and drink. The Fair has been recognized as a Top 20 Event by The Southeast Tourism Society and was voted a Top 200 Fine Art & Design Show in the nation from 2007-2012 in Sunshine Artist Magazine. 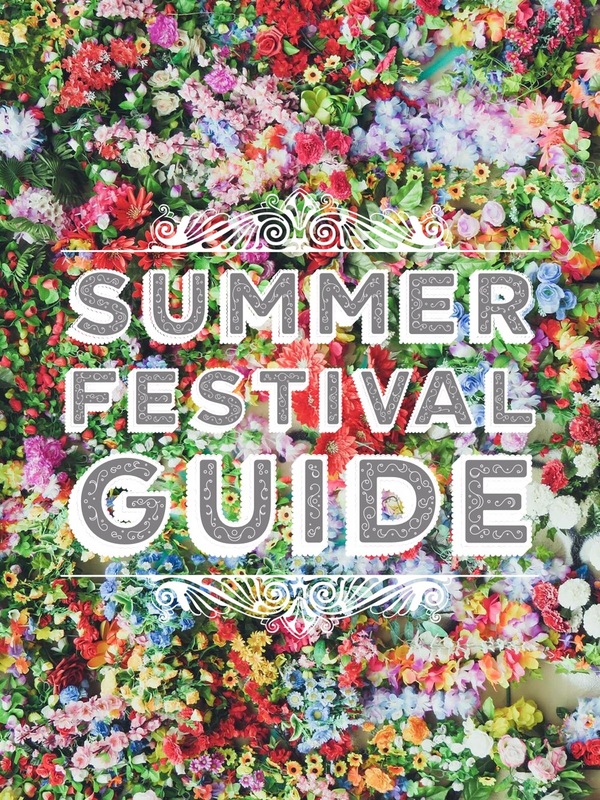 I hope this list helps you to find a few fun weekend events to attend and celebrate summer in the Bluegrass State! If you have other favorite events that I haven’t listed, please let me know.